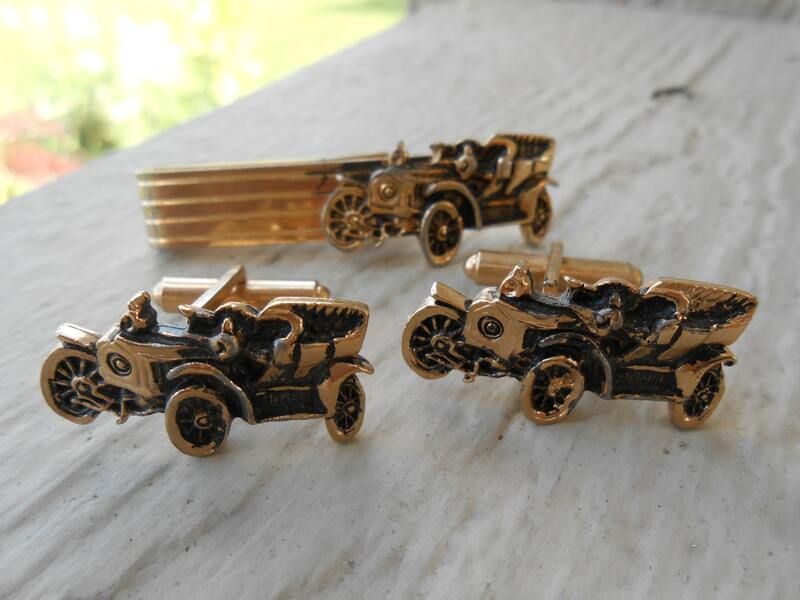 These vintage "antique car" cufflinks and tie clip are perfect for any man! 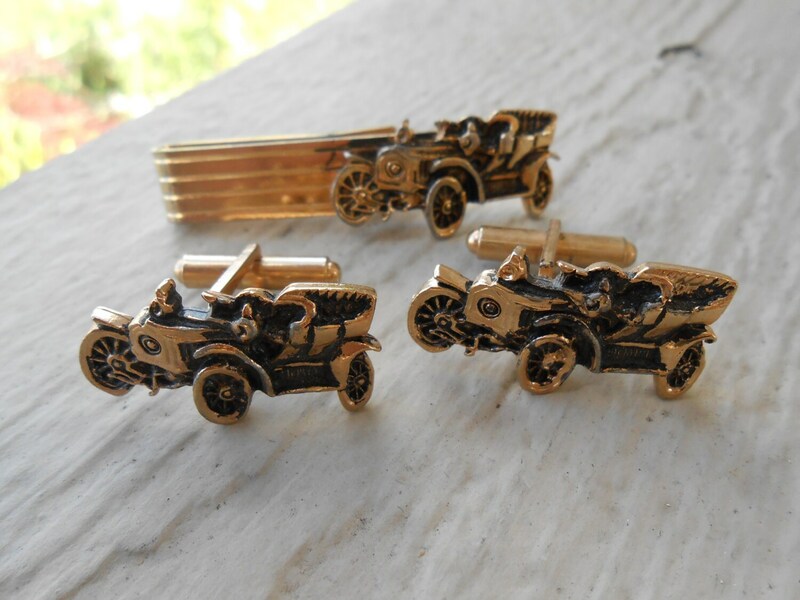 Each one has an old car, are black & gold. 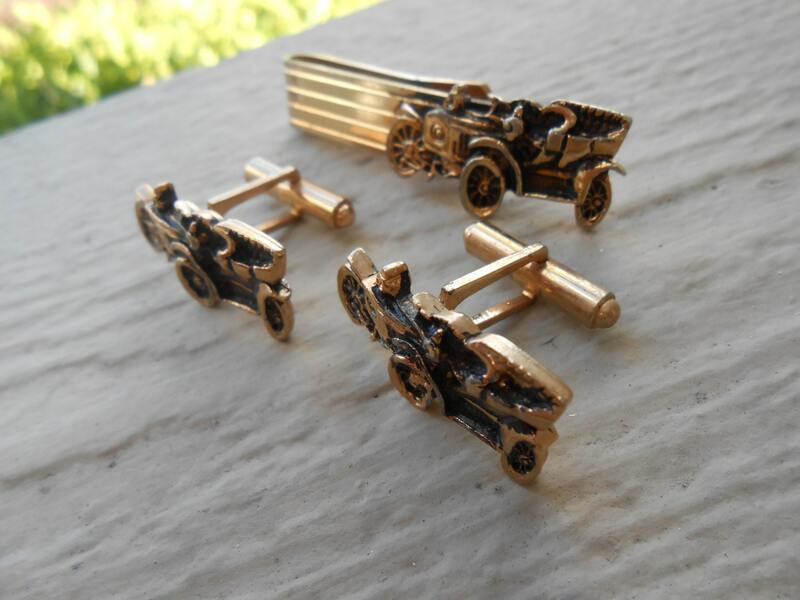 These are really cool and measure 1 1/8" x 5/8". 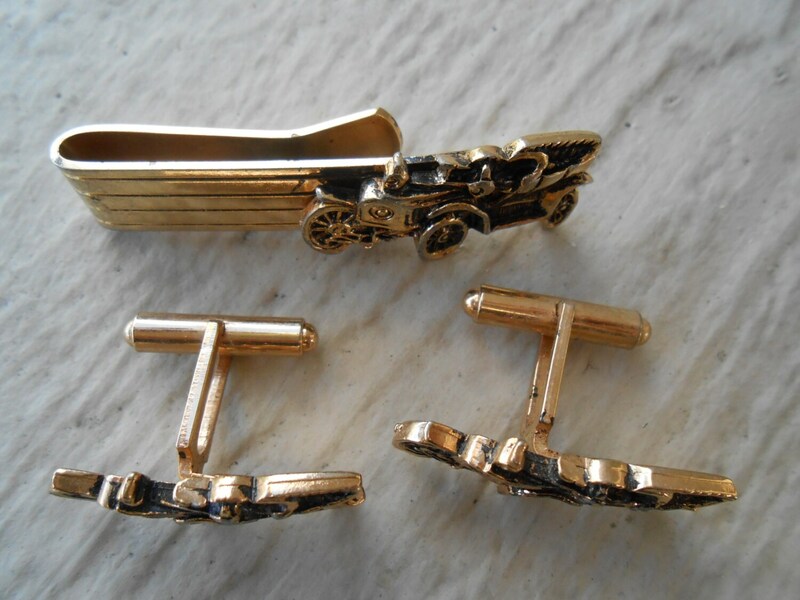 The tie clip measures 2" long. 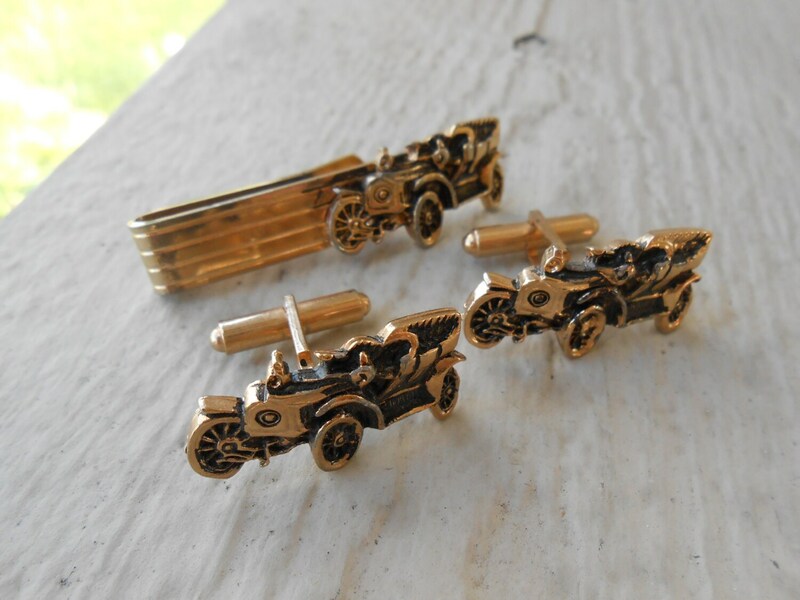 These were made in the 1970's and are in good vintage condition.